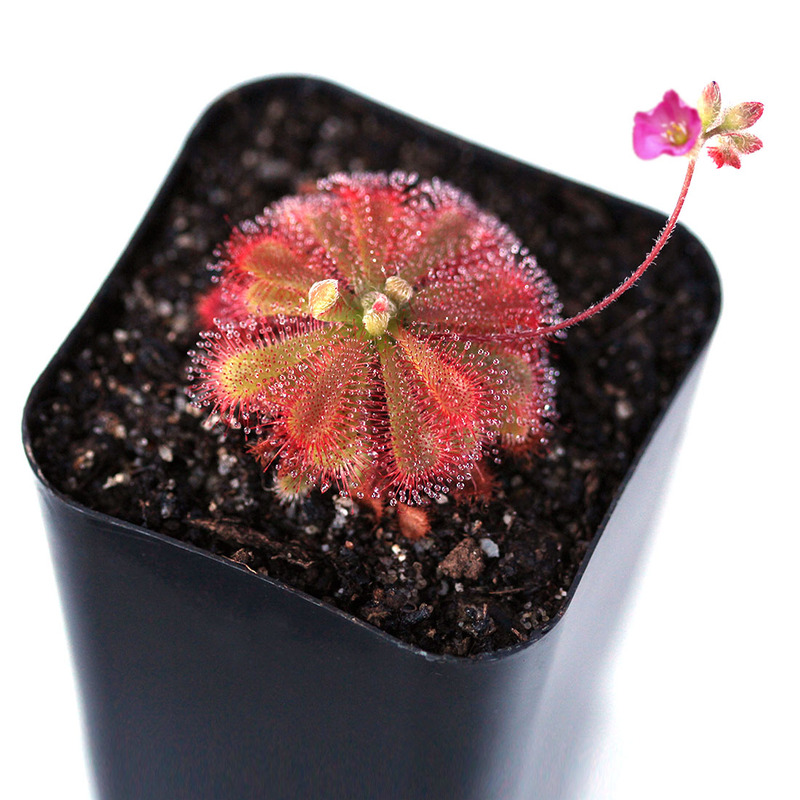 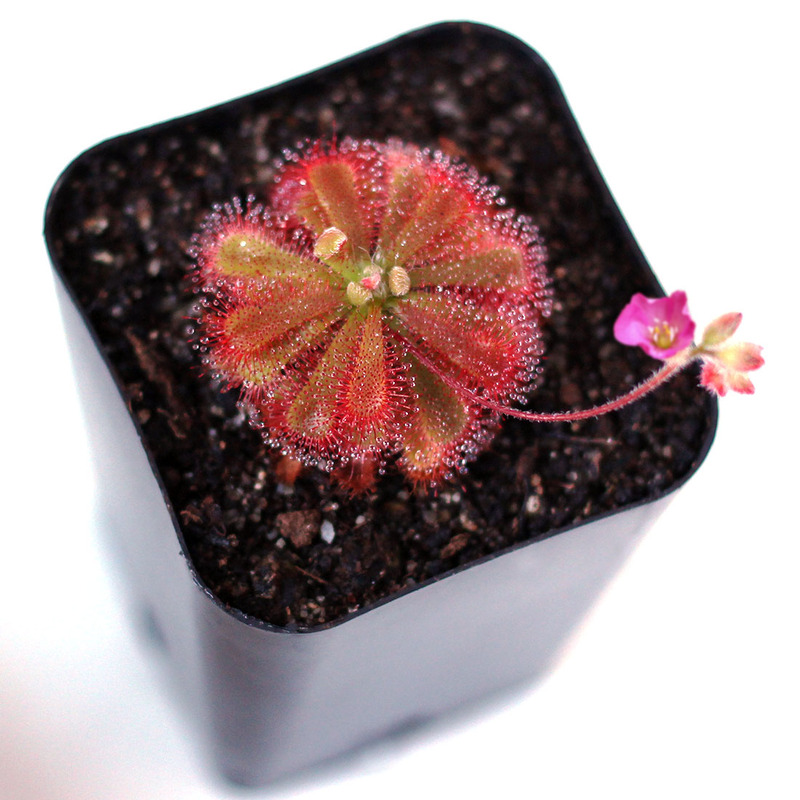 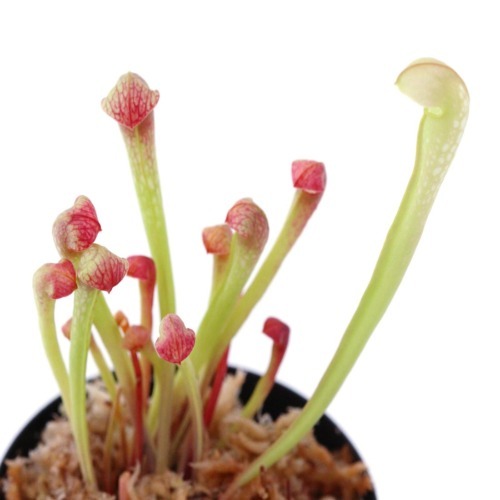 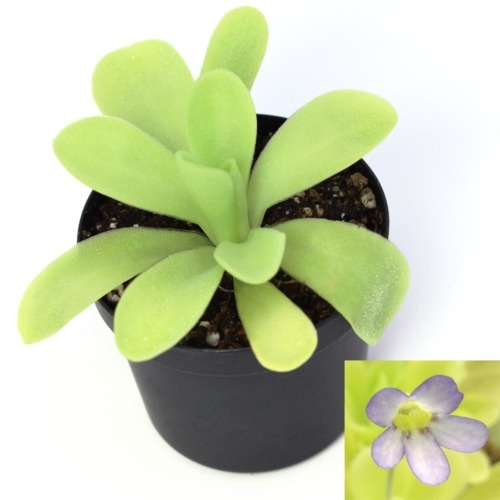 Drosera spatulata var. 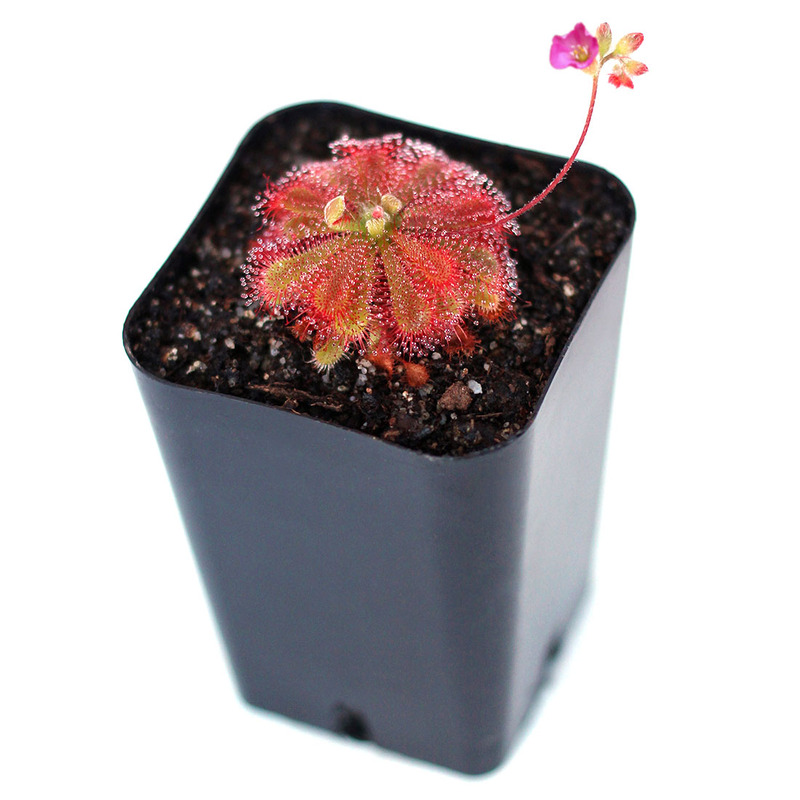 gympiensis (also known as the Spatula Sundew) is native to the coastal area between Gympie and Fraser Island in Australia. 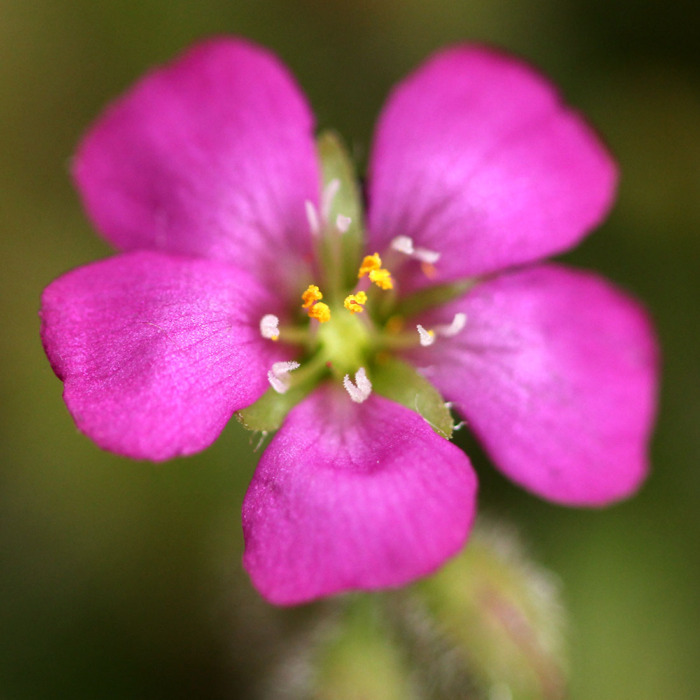 It is recognized by its hot pink flowers and short, hairy flower stalks. 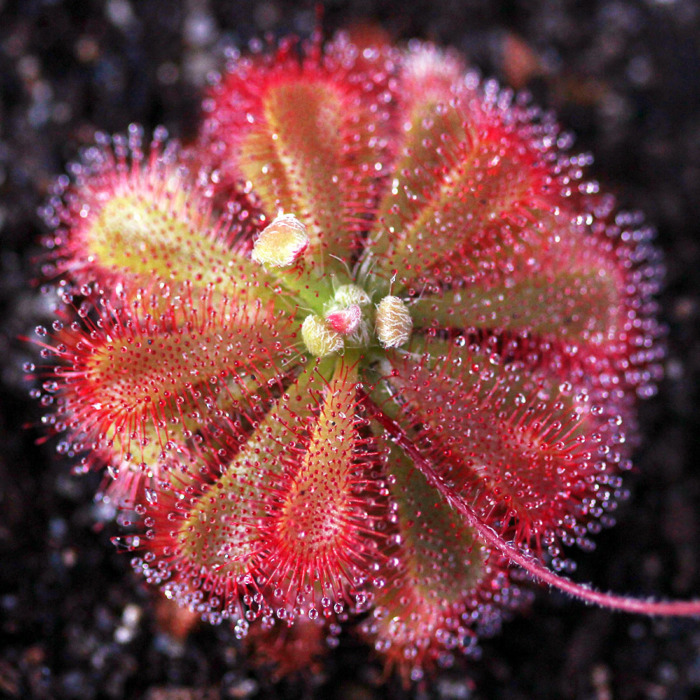 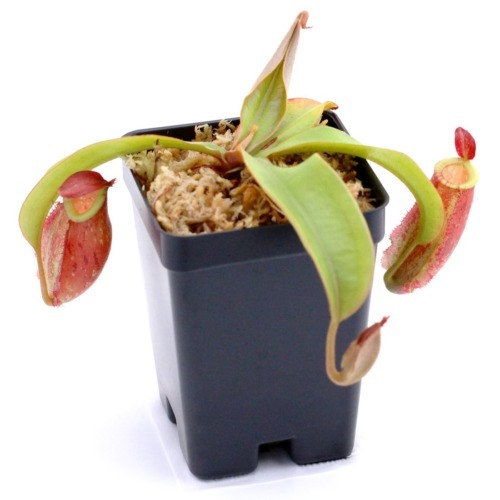 After catching prey, the dewy leaves curl around the trapped insect and the plant begins digestion.